"In this video, we take a walk through the most important features of the vanishingly rare Acxel, a vintage additive synthesizer designed by Québécois company Technos in the late 1980s. The Acxel uses an array of over 2000 LED-embedded touch plates to allow users to visualize and control various aspects of a sound, and is capable of synthesizing sounds from scratch or resynthesizing recorded sounds from the ground up—an incredible feat for its time. This article has more information about the Technos Acxel: https://www.perfectcircuit.com/signal..."
We thought it'd be fun to combine a Vermona DRM1MKIII, with a Mono Lancet '15 running through a Jomox T-Resonator II, all sequenced by an Arturia Beatstep Pro! Got a request or an idea for a Combination you'd like to see in a quick jam? Be sure to let us know in the comments! Vermona DRM1 MKIII is a true analog drum synthesizer, and it's worth pointing out to those unfamiliar that it has no onboard sequencer or patch memory: trigger it via MIDI and tweak all the sound controls in real time via its 72 knobs. Different drum types offer a different range of controls, from the FM parameters present on its three multipurpose DRUM channels to the onboard reverb and noise generator available to the SNARE and CLAP channels to the low pass filter on the SNARE and the two CYMBAL channels. The Vermona Mono Lancet '15 is a monophonic analog desktop synthesizer module with two oscillators, a 24 dB/octave lowpass filter, envelope generator, and LFO section with 6 waveforms (versus 3 on the original Mono Lancet). Mono Lancet '15's knob-per-function interface provides intuitive control over its warm, characterful analog sound. In addition, Mono Lancet '15 is expandable via the separate Modular Dock eurorack module. The T-Resonator is something like an M-Resonator + Digital Delay. But you can select 8 different delay algorithms, each with different delays and different feedbacks and modulate them even with an LFO. Delays reach from less than a millisecond to 1 second, range and structure is depending on the algorithm. The delay feedback comes across the analog filters, of course. You can create gaining analog echoes, "klingon parties" by extremely feedbacked wave guide algorithm and much more. By the analog feedback everything sounds organic. The screaming analog feedbacks can delay themselves and thereby form new sound patterns. The Arturia BeatStep Pro controller & sequencer is designed as both a powerful hands-on hardware sequencing environment and pad / trigger controller. With two fully independent sequencers, an additional drum sequencer, and the ability to record real-time or use the step buttons for a classic drum machine workflow, BeatStep Pro is one impressive step sequencer. A built-in looper, randomizer, and swing settings offer numerous performance possibilities. BeatStep Pro's controller mode lets you launch clips in a DAW, play drum sounds in a module, and more. Whether you need to connect to MIDI, USB, CV/gate, or DIN sync gear, BeatStep Pro delivers total creative control. Get more for your money with a exclusive bundles from Kraft Music. These package deals include the accessories you'll need to get the most out of your new synth and more, all for one low price. If you have any questions, please give us a call. Our knowledgeable Sales Advisors will be happy to assist in choosing the bundle that's right for you!" "It has both original floppy and Lotharek HxC drives installed. Additionally will ship with BOTH an extensive 100+ disk library with many E-Mu original sounds, plus a huge variety of orchestral sounds of unknown origin, but all high quality (please do not ask for itemization), as well as 3.5 GB of additional sounds on SD, with many instantly recognizable/ highly coveted 1980’s sounds. Additionally, has been recently serviced (late 2018), everything is in great shape except for a missing backlight - but the display is still extremely readable even in low light (see pics #2-3)." "This 5 minute video provides a great introduction to the basics of the Blipblox. Highly recommended for current and aspiring Blipblox owners." 'Instruction for accessing the additional advanced waveforms." Novation Peak, Bass Station II & Circuit All Playing, No Talking! Evan from Novation plays a fews tracks using the SL MkIII Keyboard Sequencer as the brain, and Peak, Bass Station II and Circuit of the sound sources. Novation SL MkIII controllers bring MIDI hardware and CV/Gate synths together while easily integrating hardware with your DAW. The internal eight-track pattern-based sequencer offers real-time and step recording, along with the ability to record live tweaks as parameter automation. 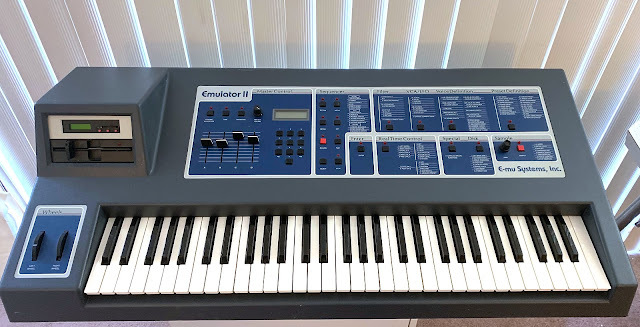 In addition to deep integration with Ableton Live, full-color LCD screens and an array of pads, buttons, faders, and knobs allow you to take control of all major music software. Get more for your money with an exclusive Novation SL MkIII keyboard controller and sequencer bundle from Kraft Music. These package deals include the accessories you'll need to get the most out of your new MIDI controller, all for one low price. If you have any questions, please give us a call. Our knowledgeable Sales Advisors will be happy to assist in choosing the bundle that's right for you!" 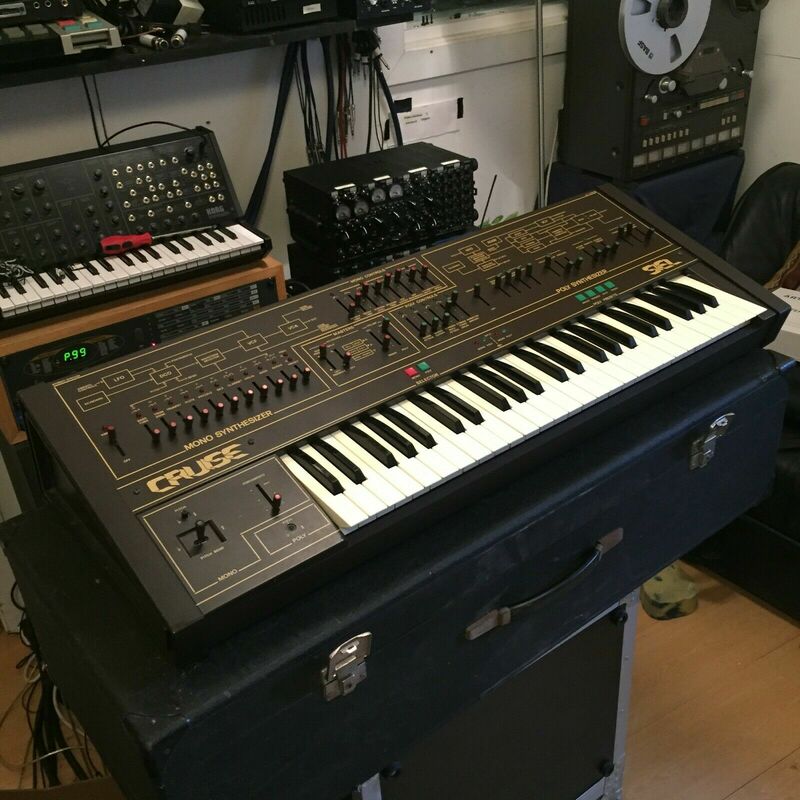 "This is a recording from an old session using two similar patches played on the Prophet '08s. The bass pedal board was not used; everything was performed on the keyboards. The upper P'08 is programmed with a deep swirling imposing bass patch, fairly complex and, of course, using both layers panned in stereo. Perhaps it's most subtle characteristic is that there is modulation of octaves. When one sustains a note, there is a rocking back and forth between a 16' pitch and a 32', which adds a mysterious immensity. The lower P'08 has a similar patch, but simpler and adapted for chordal use. "Made in Italy, circa 1979. I first came across this synth after hearing Adrian Utley of Portishead fame raving about it in the below YouTube video from 2008. 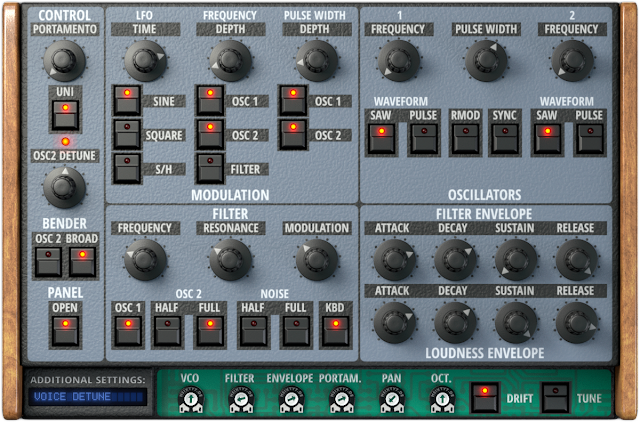 It’s a lush poly synth and fat mono synth in one and sounds fabulous. The synth was used extensively on Portishead’s album Third (see “The Rip” and the John Carpenter-esque outro of “Machine Gun” in particular). Totally nails Solina string ensemble as well as John Carpenter-esque sounds, but on top of that you have a bunch of great poly synth sounds and a tweakable monosynth with very fat sounding filters. (Add a dash of effects and this thing really comes alive.) The below AnalogAudio1 videos are great examples." "DREADBOX ABYSS, ARTURIA KEYSTEP is playing the arpeggio!" 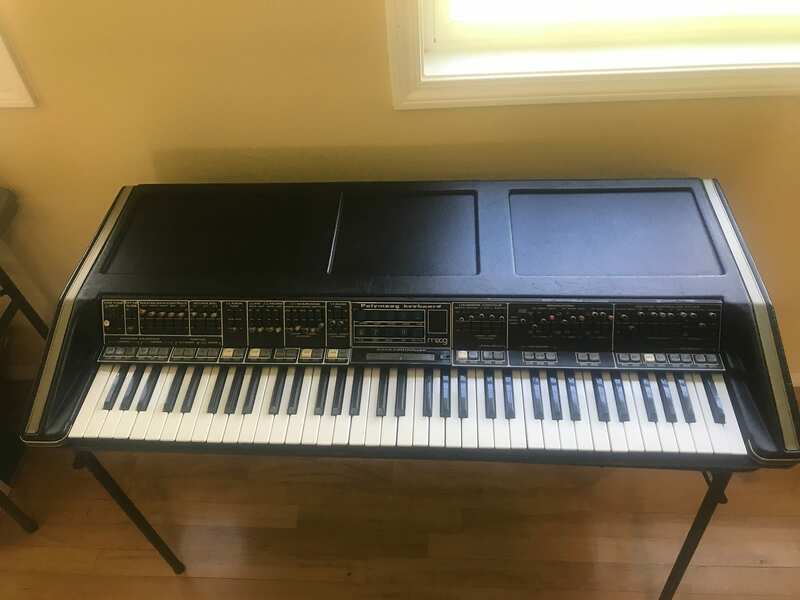 Oberheim OB-X / OB-Xa based soft synth. Sounds like my old OB-Xa, but not seeing a 2-Pole / 4-Pole switch. "RAST-A for HALion is an homage to legendary voltage-controlled synthesizers of the 1980s. It not only models the musical influence of individual hardware components on sound, but also simulates the temperature drift of VCOs. Combined with a classic modeled filter you get all the tools to bring back the vibrant sound we all loved so much. 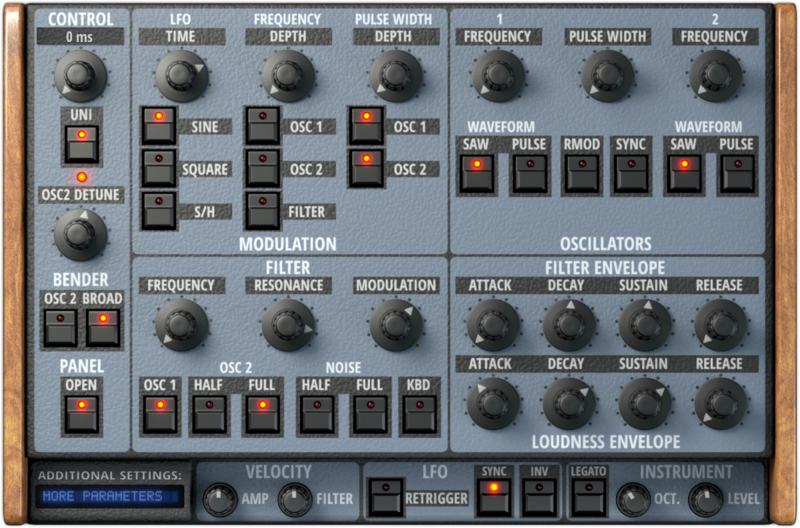 This modeled synthesizer is heavily inspired by a classic synthesizer which was famous in the ’80s. The original was used heavily by artists like Prince, Queen, Styx, Van Halen or Supertramp. But, RAST-A has not the intention to be a one-to-one clone but rather an homage to a specific sound which dominated a whole decade of music. Vintage in every way you can imagine; play with the temperature drift simulation of VCOs to make your sound less predictable. Each voice comes with a separate portamento. And that lets you can recreate the typical outstanding glides some synth were famous for."